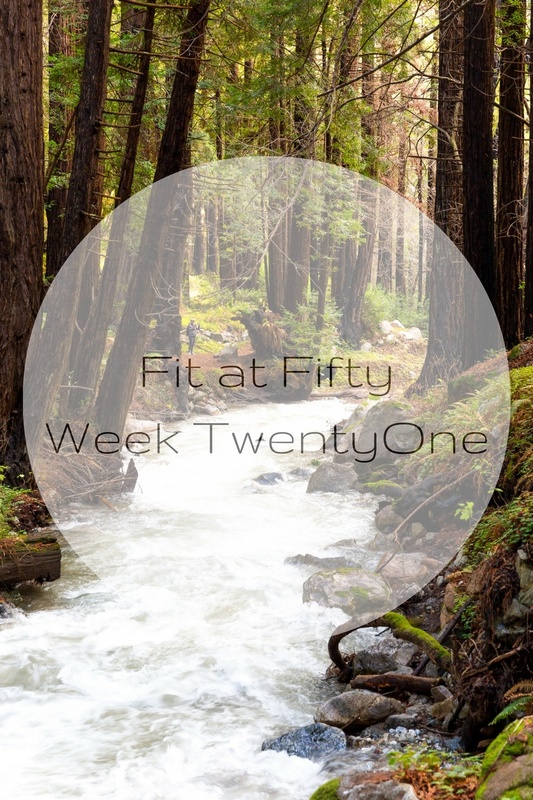 It has been a somewhat uneventful Fit at Fifty Week Twenty One – not too much to report on. I stayed the same weight which was a pleasant surprise. I had anticipated gaining as we had friends in from out of town, I had a girls night out, as well as a couple dinner parties at our house; which translates into over indulging and not being consistent with eating right. I kind of ate like a jerk – you will see. Damn it, I stuck to my guns, watched my portion control and enjoyed a couple glasses of wine and did not feel guilty. The only thing that I could have been better at was being consistent with yoga. I found that doing yoga at home can make it tricky when entertaining and I need to work on getting over it, and make the time for me. That being said I am behind by a few days on yoga but back at the 31 day challenge – and I am still enjoying it. Can you believe I only have four more weeks until this challenge is over? I cannot for many reasons, and the main one is that I will be FIFTY! WTH??? I also wonder if I will reach my goal of 135? Here’s to doing this together for the next four weeks – push on! Let me know how you are doing – I really enjoy getting your emails. Dinner: 1 serving Chicken Pot Pie, 1 large serving green salad with radishes, red onion and red vinegar dressing. 3 glasses red wine and 1 slice chocolate flourless cake. Lunch: cheese, olive and bread plate. Dinner: charcuterie dinner out with friends – 3 glasses red wine.